Designed by Martin Friedrich Architects and constructed by 1186 Construction, Cosham Street Brighton is referred to as 'Playful House' in a recent publication by Habitus Living, leaving no surprise that this project was recently was awarded 'Most Creative Design' at the 12th Annual Bayside Built Environment Awards. Lights & Tracks had the opportunity to collaborate with 1186 Construction and Martin Friedrich Architects to highlight the grand exterior of this home, which was achieved with carefully placed high output adjustable up lights, giving life to the soft but bold curves of the facade. 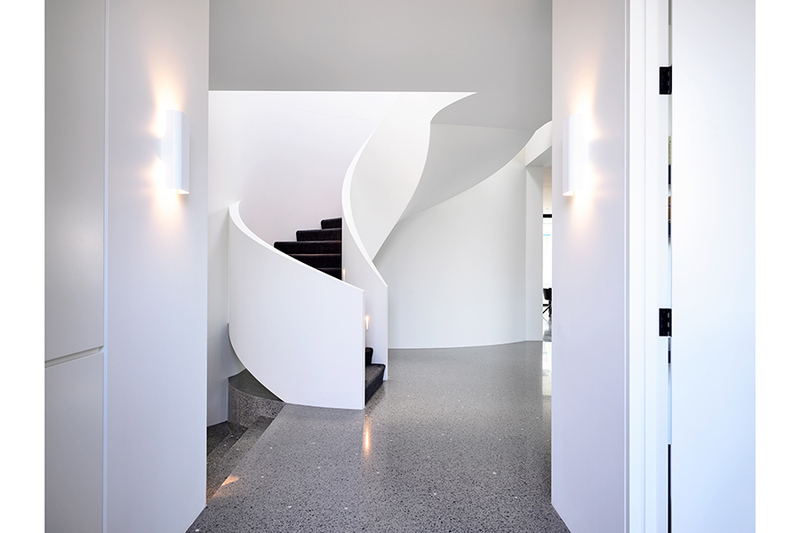 Inside the home, low level slit LED wall lights were used to highlight the treads of the architectural curling staircase and classic deep recessed ceiling down lights provide a beautiful aesthetic and low glare, maximizing visual comfort. Outside the home wall lights and spike spot lights dimly illuminate the walk ways within the garden spaces and bring components of the landscape to life, including the iconic palms at the entry to the home. The garage of this home is uniquely fitted with a custom ceiling and wall recessed LED profile creating a ribbed like effect and framing the space perfectly. 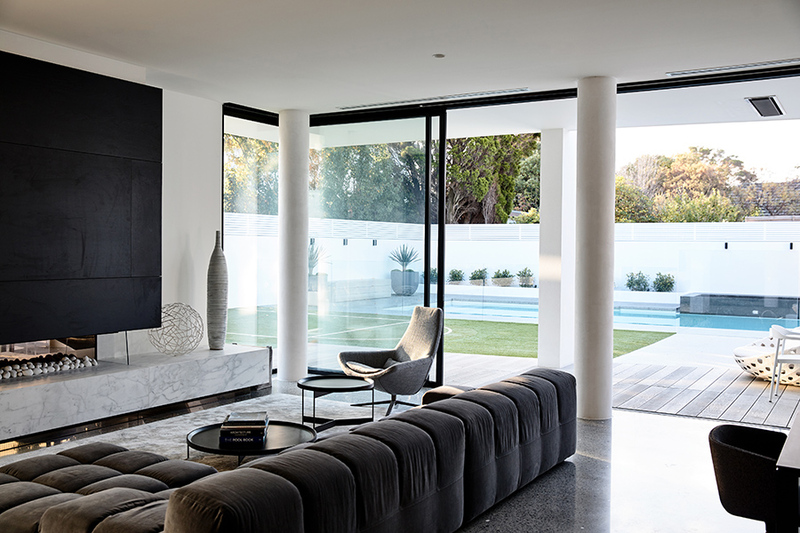 Credit must be given to Martin Friedrich for his creative and impeccable design on this beautiful family home.